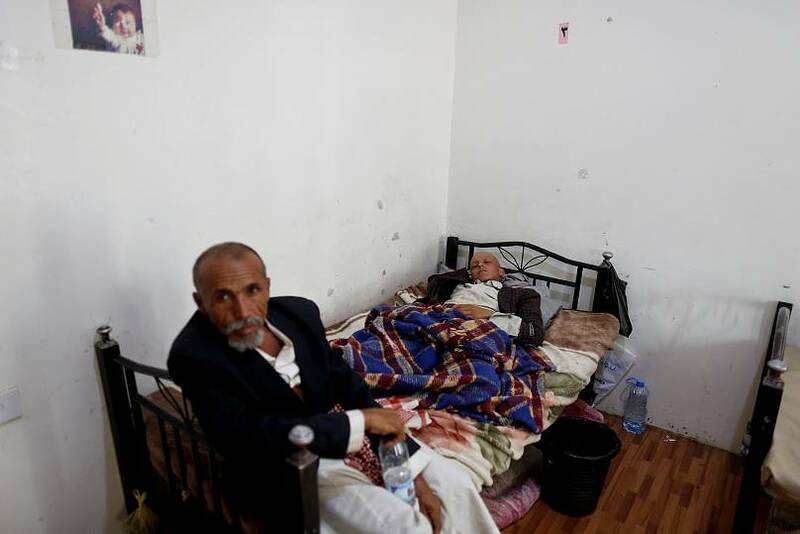 Aside from a three-year-long civil war, thousands of Yemenis are also dealing with another problem: poor healthcare. 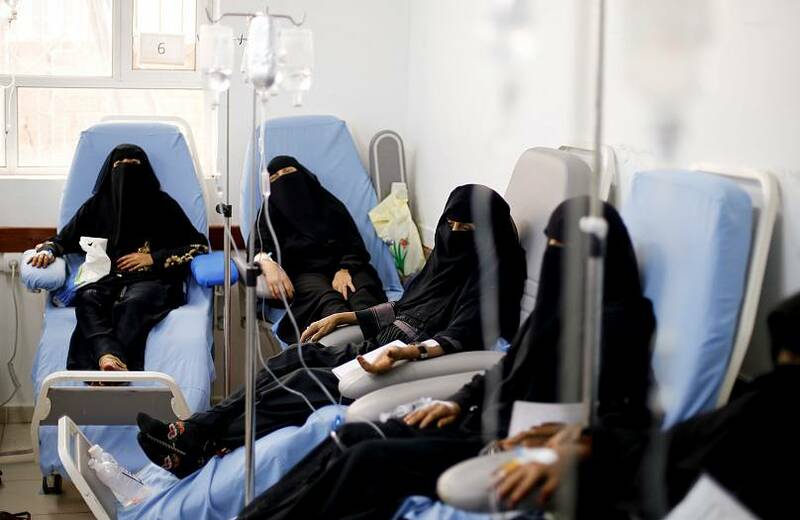 As battles rage between regime forces and Houthi rebels, supported by Saudi-led coalition forces and Iran-backed fighters respectively, hospitals in the Arab country are struggling to accommodate cancer patients. 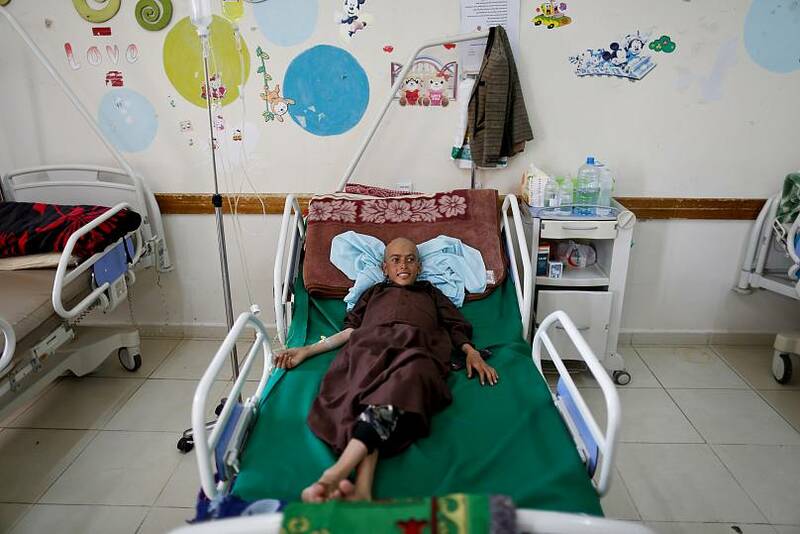 The National Oncology Centre in Sanaa admits 600 new cases each month, but beds are limited. 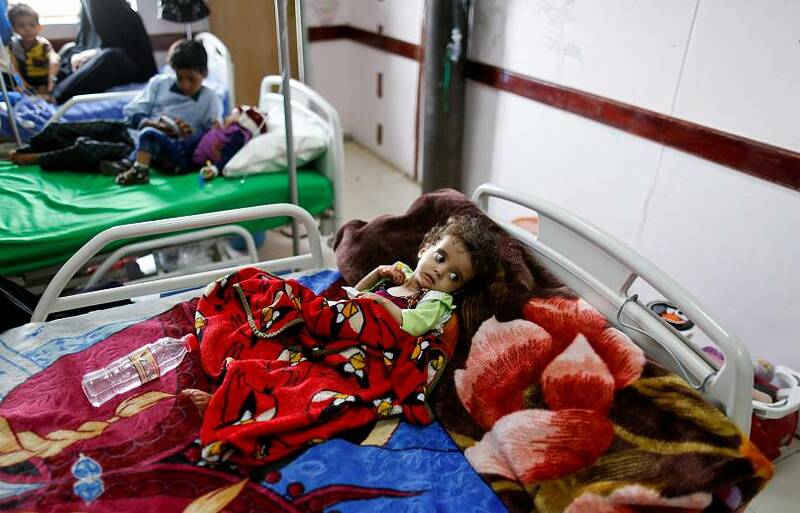 The few available are reserved for children, meaning many are forced to receive treatment from a chair or in the waiting area. 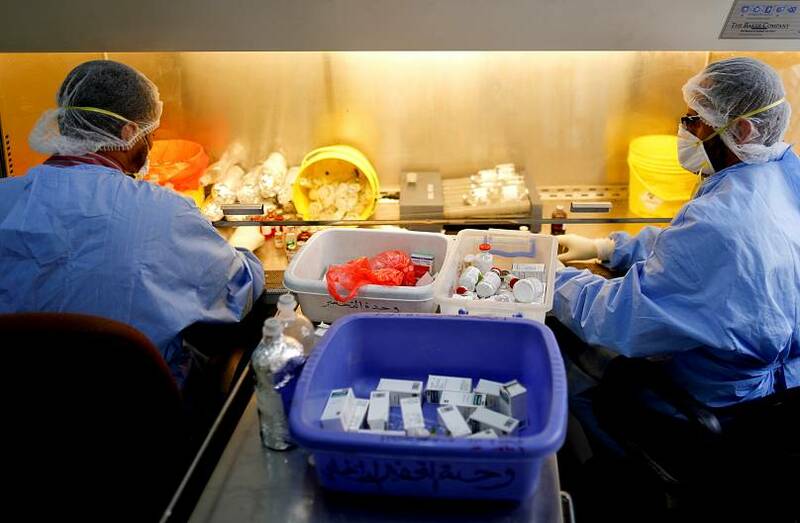 But despite growing demand for its services, the centre received just $1 million funding last year from state entities and international aid groups. And treatment for patients is unaffordable for many. 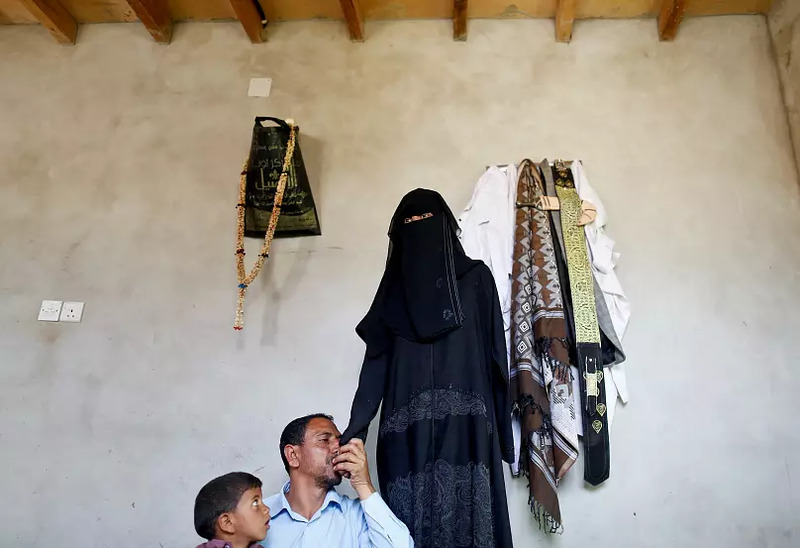 "I spent all our valuables and had to borrow a lot of money to cover the expenses of my daughter's treatment," Khaled Ismael says of his 17-year-old daughter, Radhiya, who had her left arm amputated due to cancer. 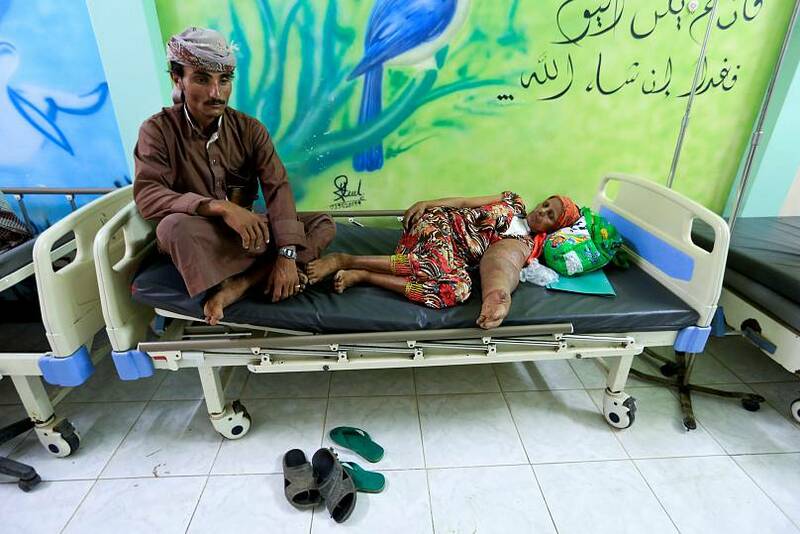 "In the end, we couldn't afford a good treatment." 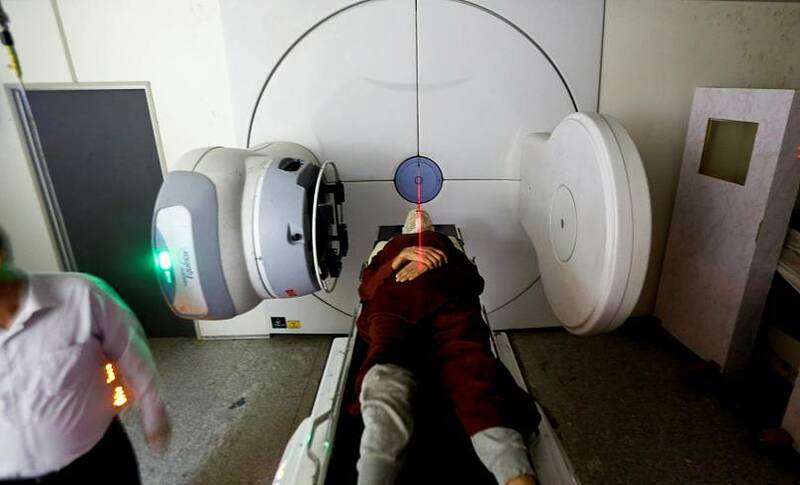 "Because of our inability to travel abroad, my daughter did not get enough treatment and her arm had to be amputated," he added. 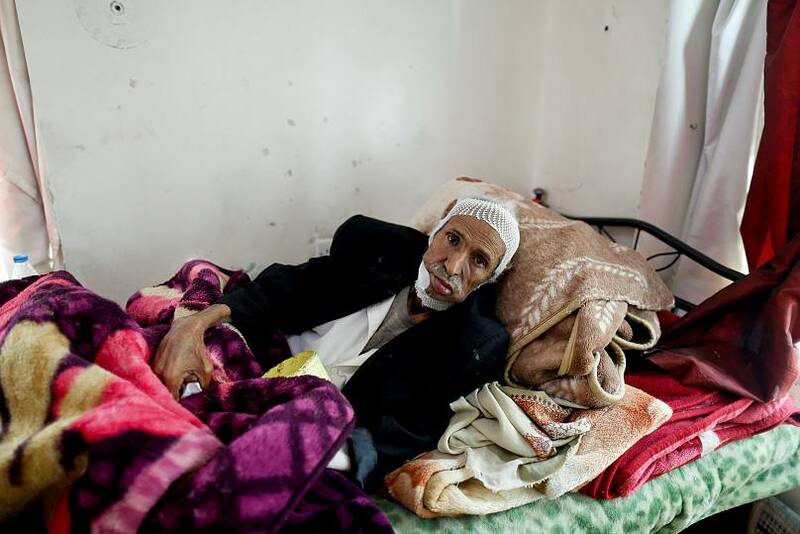 "The war has devastated our lives." 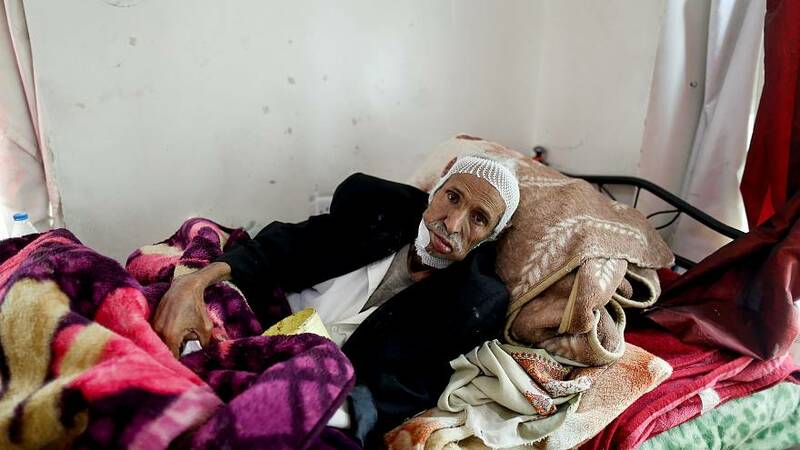 Reuters photographer Khaled Abdullah visited the oncology area of several Yemeni hospitals to show their plight, and photographed cancer sufferers staying in charity houses or living with their illness at home. 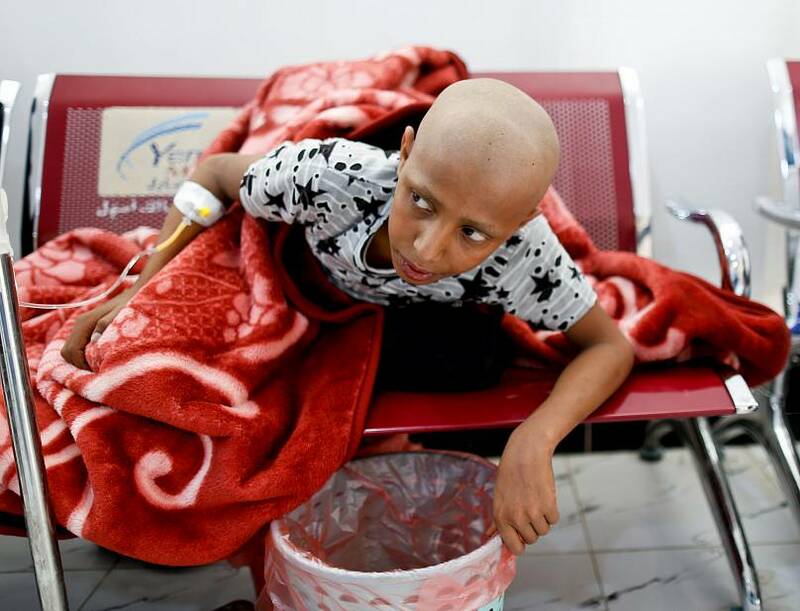 The World Health Organization (WHO) estimates that there are around 35,000 people suffering with cancer in Yemen, with 11,000 new diagnoses made each year. 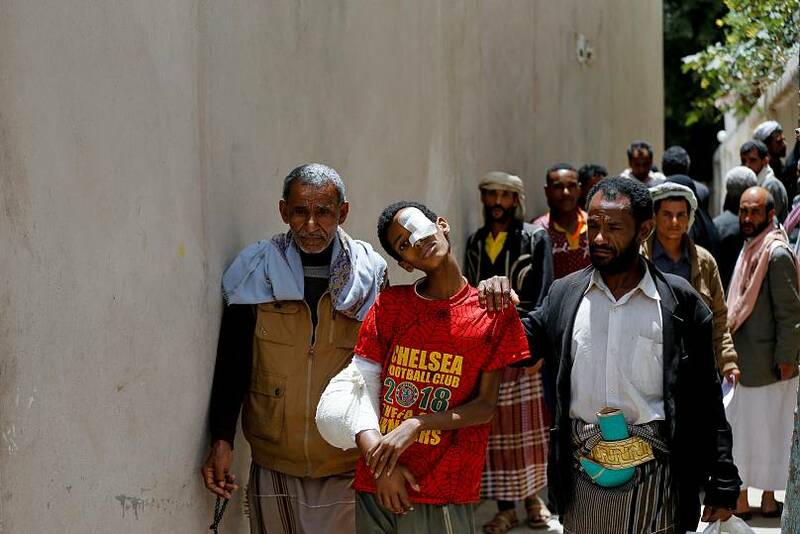 Meanwhile, the civil war has resulted in the deaths of more than 6,500 civilians.